The emphasis is on social rather than competitive sport and we often have a drink afterwards to chat about anything and everything. Food and drink is available during the games. No previous experience is necessary and we're here to help beginners. No equipment is needed as all is included in the fee. You may wear your own shoes but not recommended are heels or boots. You don't need to be super fit, although anyone with back problems or joint problems like tennis elbow should seek advice from their GP first. 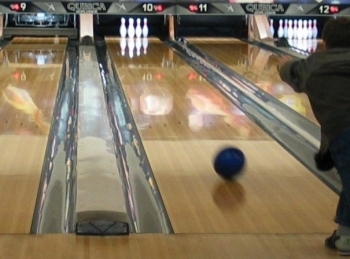 The second of three social bowling nights this month. A reduced rate of £8.90 for two games. Check in below to let me know you are joining us. The third of three social bowling nights this month. Typically 6 to 12 of us turn up for the sessions, playing two games. We split into adjacent lanes and then have a change round after the first game. On Tuesdays (normally fortnightly see dates listed below) at the Hollywood Bowl, Brighton Marina, BN2 5WB. We meet at 7.45pm for an 8pm start. 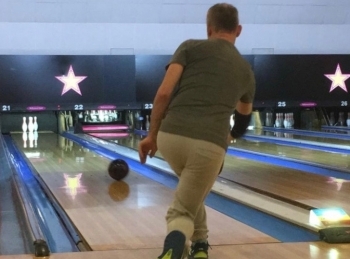 There is a new computer system in place at the bowling centre and it is no longer possible to add players when a game has started, so please ensure you arrive by 7:50pm or it might not be possible for you to play. 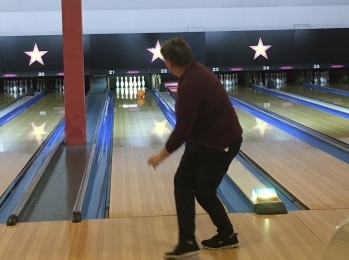 We have a reduced rate of £8.90 for our regular bowling sessions. If you are a BLAGSS member, please log in for details and to register your interest in the next session, if required. If you are not a member, please email bowling@blagss.org for more information.